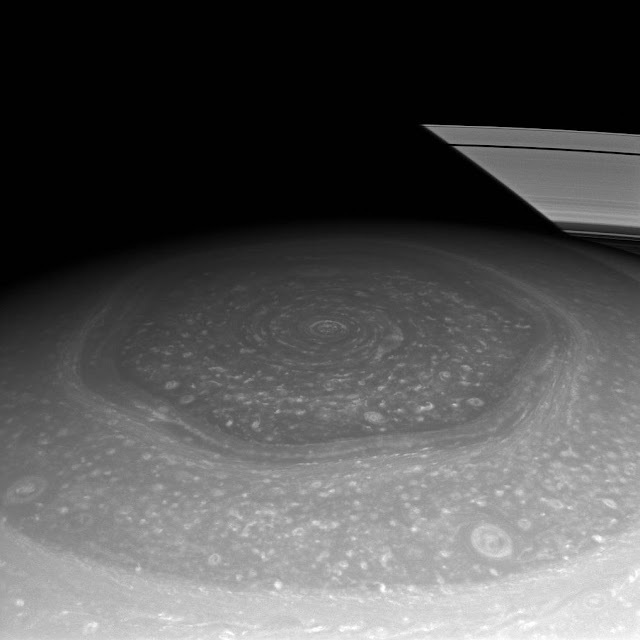 NASA's spacecraft has noticed that the Saturn's North Pole appears different when compared over the last several years. 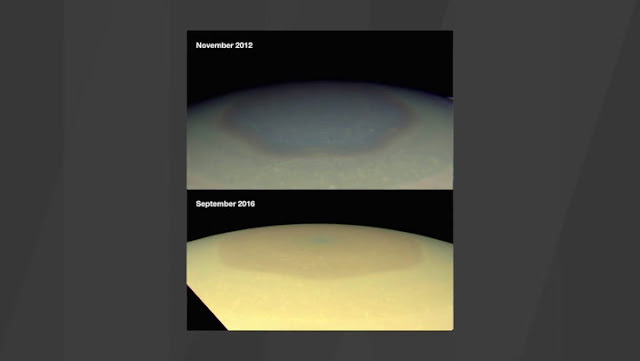 In a news release, the agency notes, "two natural color images from NASA's Cassini spacecraft show the changing appearance of Saturn's north polar region between 2012 and 2016." Furthermore NASA says, "Scientists are investigating potential causes for the change in color of the region inside the north-polar hexagon on Saturn. The color change is thought to be an effect of Saturn's seasons. In particular, the change from a bluish color to a more golden hue may be due to the increased production of photochemical hazes in the atmosphere as the north pole approaches summer solstice in May 2017." According to NASA, "Researchers think the hexagon, which is a six-sided Jetstream, might act as a barrier that prevents haze particles produced outside it from entering."